Stuttgart - VfB Stuttgart have parted ways with Thomas Schneider and his coaching team, with Dutch coach Huub Stevens replacing the 41-year-old as the Swabians' head coach. The decision was made on Sunday morning following Stuttgart's 2-2 draw at home to bottom club Eintracht Braunschweig. "This was a mutual decision made by the board and Thomas Schneider," said Stuttgart's president Bernd Wahler. "In view of the current situation, we have to be aware of our responsibility towards the club by taking this difficult step. Thomas Schneider is Stuttgart through and through and he should continue working for the club in the future." It is the second time Stuttgart have changed their coach this season, with Schneider replacing Bruno Labbadia at the end of August. After an initial turnaround in the club's fortunes, their form has dipped dramatically of late with a run of eight straight defeats up until Saturday's draw. Stevens, who will commence work on Monday, is no stranger to the Bundesliga. He led FC Schalke 04 to a UEFA Cup triumph in 1997 before returning for a second spell in September 2011. He guided the Royal Blues into the UEFA Champions League and led them to the quarter-finals of the UEFA Europa League, before leaving in December 2012. He also had spells with Hamburger SV and 1. FC Köln, leading the latter to promotion from Bundesliga 2. His last coaching job was with PAOK FC in Greece. 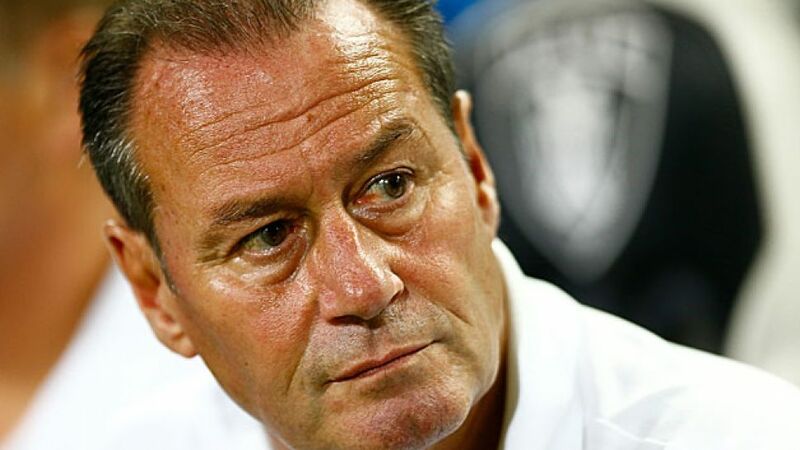 Sporting director Fredi Bobic said of Stevens’ appointment: “Huub Stevens is a coach with a huge amount of experience, who favours discipline and has a clear idea of how his teams should play. This wasn’t a decision against Thomas Schneider. The pressure is so high in this division and we wanted a change of course. The only thing that counts now is staying up.” Stevens’ first game in charge of VfB will be a trip north to Werder Bremen on Matchday 25.